Animal Game is a whimsical book, written for the very young. It teaches animal recognition via incorrect pairings. The being in the attached image is demonstrative of the represented crossings. This one is half frog and half bee. He naturally makes funny noises. As do all of them. 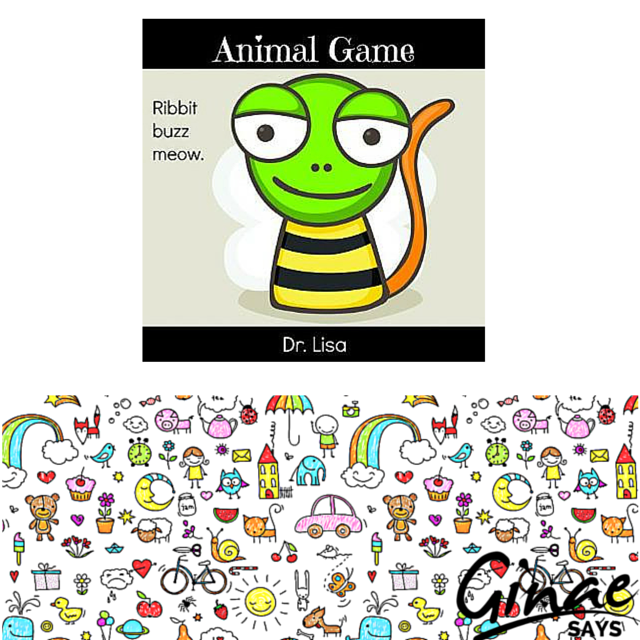 Animal Game is a good book to stay with a growing child, as he becomes old enough to know why these creations are incorrect.